And then my prayers were answered! 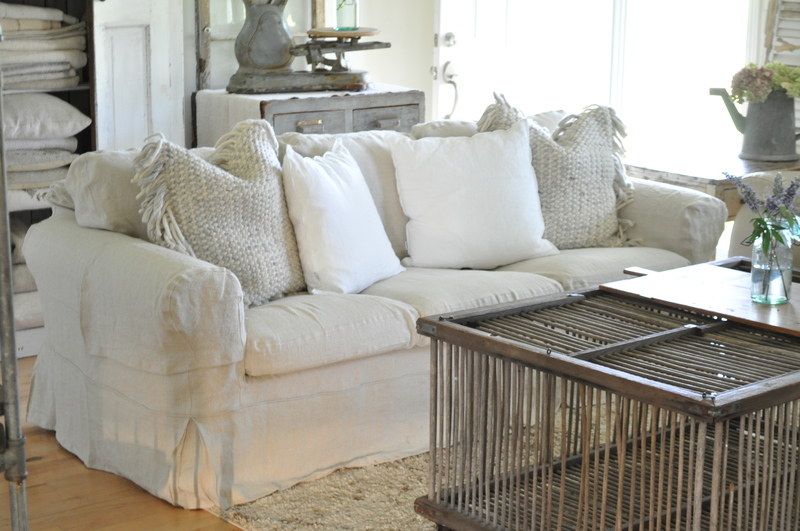 ENTER BEMZ Sofa Slipcovers with the Loose Fit Country Style…and I’m no longer wrestling an elephant! BEMZ DESIGNS is a Swedish based company that grew from an idea sparked by the owner, Lesley Pennington. 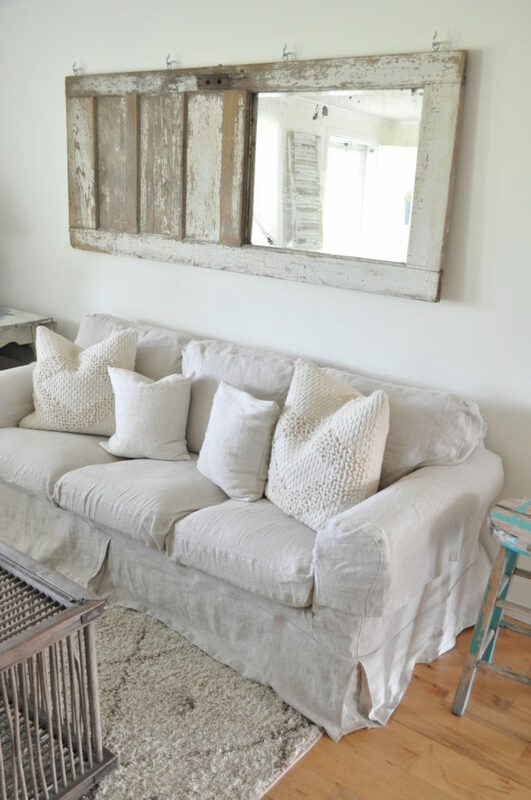 They make custom slipcovers, for sofas or chairs, so that you can transform IKEA pieces to match your own style. You’ll notice when you visit their site, that BEMZ DESIGNS has OVER 250 fabric choices from which to choose! The process is simple, though. BEMZ sends FIVE FREE fabric samples, so that you can see for yourself the colors and variations. 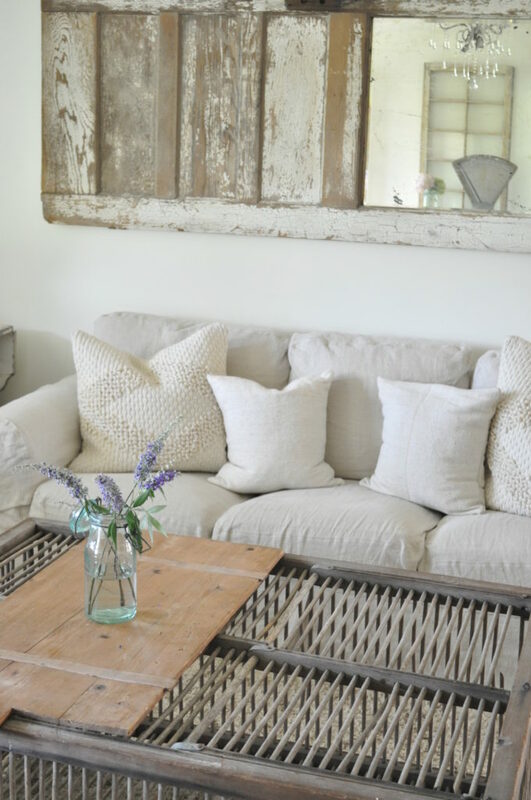 Above, I created a “living mood board” for our family room. 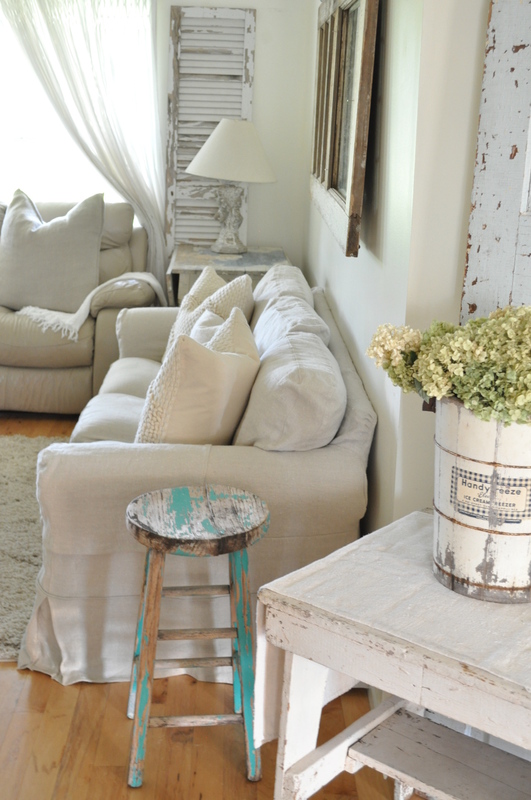 I added pieces surrounding the fabric samples to get a good color combination and mix of textures. Wondering which I chose? 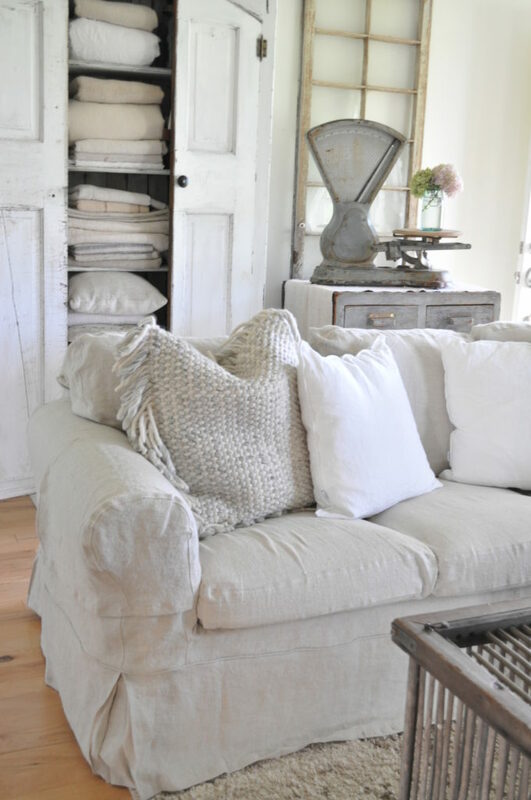 My favorite part of the Loose Fit Country style slipcovers is that they are a little wrinkly, in a relaxed style. We can enjoy lounging on the sofas, with no worries. They hang a little long on each side, which I love, because you can’t see under the sofa. 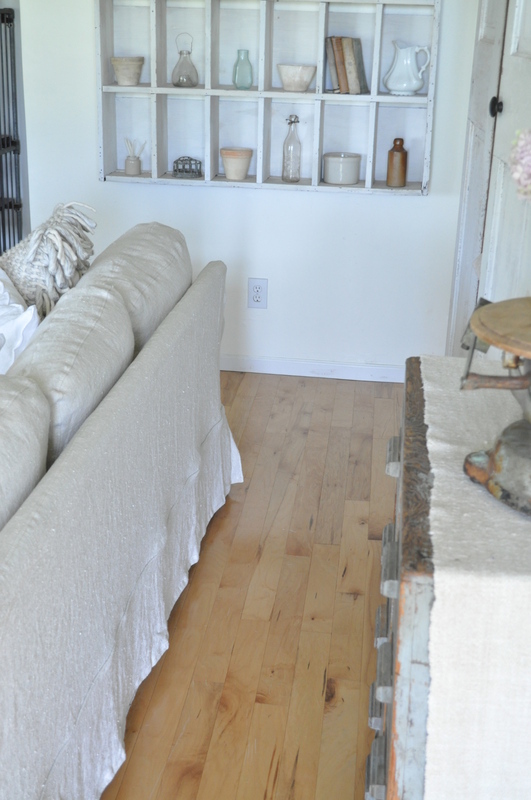 The sofa slipcovers come with matching arm rest covers, too. 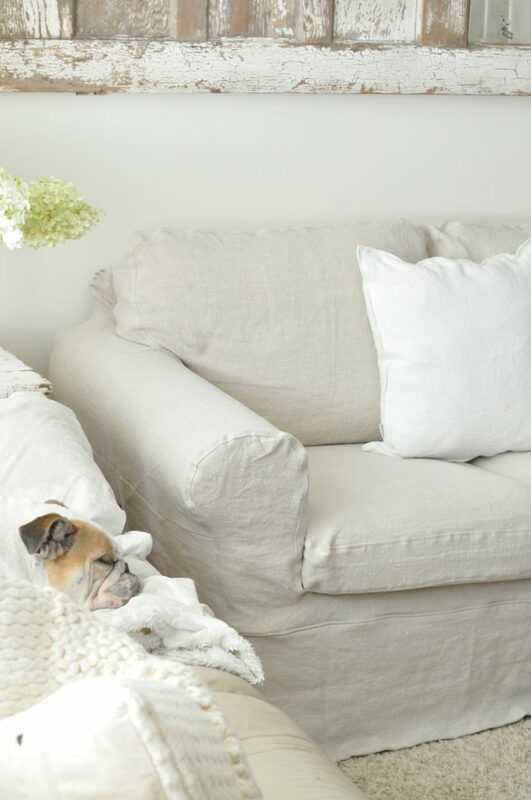 They are perfect for our home, creating a relaxing style, for family and pets. Speaking of pets, we have a precious English bulldog named Jovi B…who loves to rub against the bottom of the slipcovers, and left her mark. I took water mixed with a few drops of Dawn dish washing liquid to wipe it off. It came out right away! 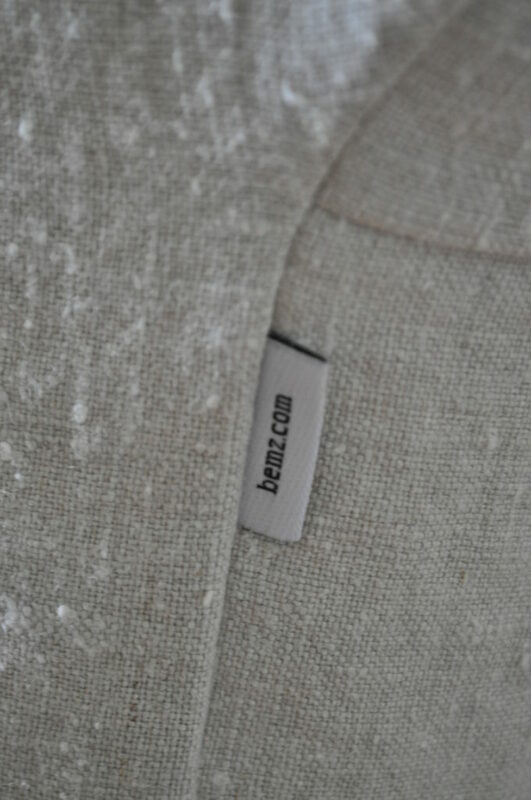 BEMZ DESIGNS uses 100% natural materials for their fabrics and you can throw them in the washer! No, I haven’t had to wash mine just yet…but when I do, I’ll be happy to update you on how they hold up. So, as you can imagine, I’m honored to be enjoying these beautiful sofa slipcovers. And, I would definitely recommend them to anyone looking to update your IKEA sofas. 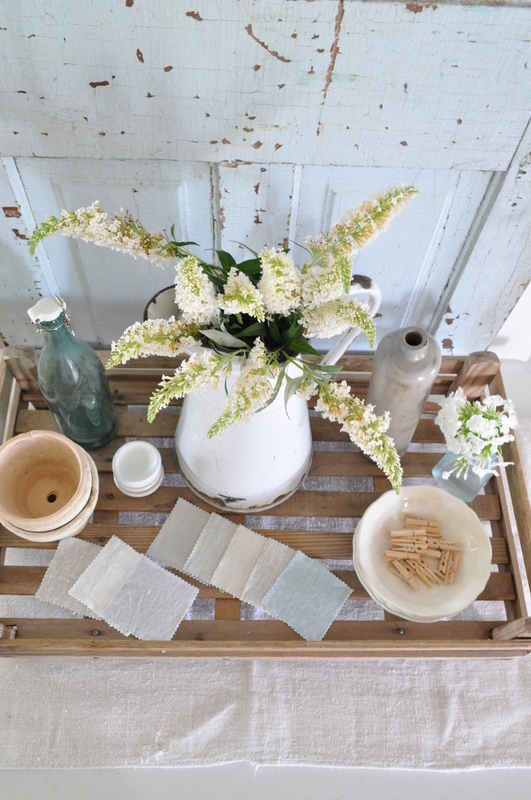 The fabric is an amazing linen, so well-made, and they go on so easily! Thanks so much for stopping by! If you are looking for some throw pillows, we have Vintage Hemp with red stripes HERE in our ONLINE SHOP. Enjoy your Labor Day, friends! 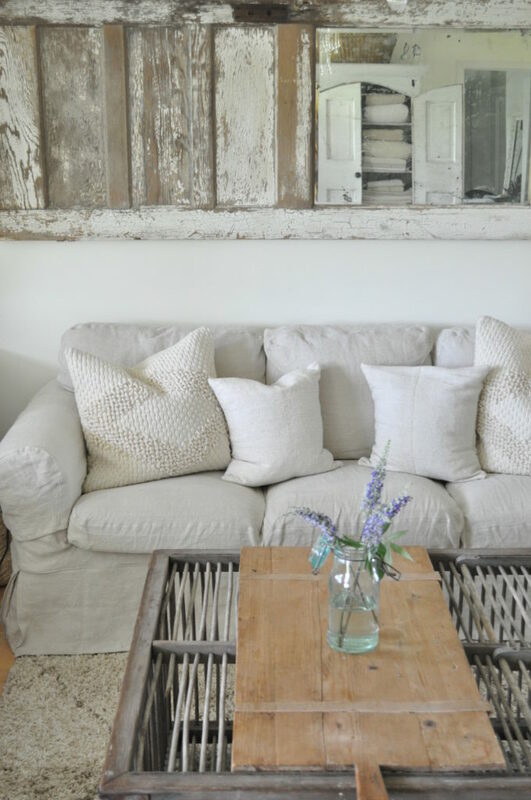 Follow me over on INSTAGRAM HERE for daily updates and peeks into our home and lifestyle. Just dropped by first time, your fall dining room is nice. There are various bloggers these days and I think its fine that you are all making a little money for your effort. I read three of your posts and every one of them is a sales pitch for a company. So not really interested in returning. It is like tv ads. Can I order a sectional cover from u?